Planning vacations when you have kids is something that many people would consider a talent in and of itself, and it doesn’t matter whether you’re planning a short trip to visit family in the next state or if you’re flying to the other side of the world, it’s definitely something that is rather stressful – especially the actual traveling part. However, it’s not all bad and can be made less stressful when you know how to plan ahead for it, and once you have a system in place and actually get used to traveling with your children, then you won’t really notice any major difference between that and traveling on your own. It’s also a good idea to start traveling with children when they’re as young as possible, because this really helps them get used to it and makes them less likely to be bad or anxious travelers. The great thing about road trips as a way of traveling with your family is that it offers a setting that can include more home comforts and is less stressful because there’s no waiting around in airports or being crammed into tiny airplane seats with children who are full of energy and losing patience. In this post, we’ve included some useful tips to help you plan for successful family road trip. Over the years, road trips have gained so much popularity all over the world for their free-spirit approach to travel, but they certainly don’t have to involve being stuck in a small car for days on end with everyone fighting over what music gets played and having to stop for bathroom breaks every hour. Of course, you may choose to take a road trip in your car, and they can absolutely be comfortable for shorter journeys, but for a bigger vacation-style road trip, then considering an RV or motor home is something a lot of people go for, and they make for a much more comfortable and enjoyable road trip. No matter what kind of travel you do, safety should always come first, so if you’re planning a road trip, then making sure the chosen mode of transport, whether it may a car or RV is currently in good condition that meets the latest safety standards by getting it thoroughly checked before taking off on your road trip. Having a plan when traveling – especially with your family if that includes children is absolutely crucial, even if it’s just for your own sanity, but it’s also important to remember that you simply cannot be in control of every little thing, so having a flexible approach to your plan that leaves room for things to be changed at short notice is key to, not only helping you stay as stress free as possible, but also to having fun, because let’s be honest – vacations are supposed to be fun and not dictated by rigid rules and plans. The great thing about a road trip is the massive amounts of options you have available for the routes you can take and the things that lie along the way. Of course, you’re not going to be able to see everything in the country, but picking a few landmarks that you really want to visit will help you devise the best possible route. Whether you want to go for a bucket-list road trip across Route 66, or something a bit more low-key, there are certainly no shortage of amazing things to see no matter which route you choose for your road trip. It’s very rare in general life that everything goes perfectly to plan, and this is even less so the case when traveling, so although we’re certainly not suggesting that you expect bad things to happen, it’s just good sense to be aware of some common issues that may come up when traveling through the country on a road trip. If you’re traveling in an RV, then you’ll likely have good storage and possibly even cooking facilities, so when you’re traveling from place to place you won’t have to worry about stopping every few hours for fast food. Stocking up on key supplies, such as food, water, and even gas in case you run out is always a good idea to ensure that your road trip goes as smoothly and problem-free as possible. When traveling anywhere, it’s always highly recommended to take out travel insurance, but when going somewhere on a road-trip, then ensuring that you have the correct car insurance or insurance for your RV is crucial, not only from a legal perspective, but for safety reasons. You can discover more about the various types of auto insurance available online. Whilst you may be happy simply taking in the beautiful and varied scenery along the way throughout your road trip, children – especially younger ones are not so easily entertained, so making sure you bring plenty to keep them occupied during the trip is a good idea. This can include things like bringing an iPad loaded with their favorite shows and movies, board games you can all play together, or even craft sets and coloring books and will definitely go a long way to ensuring an enjoyable and relaxing road trip for everyone involved. Simply just having insurance and a contract for your RV is not enough, you need to make sure you have them with you just in case you do get stopped and are asked to prove anything. It could also be a good idea to bring copies of passports and birth certificates as proof of identity if ever needed. 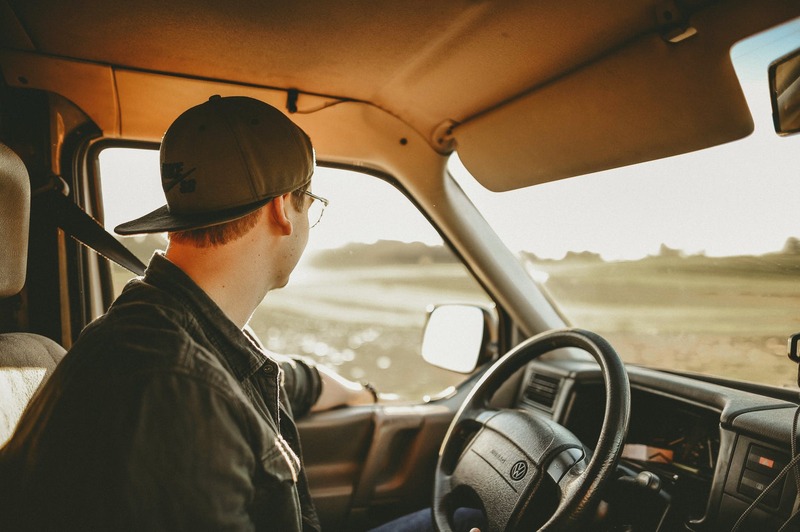 Likewise, making sure you have a clean driving record with no outstanding convictions, charges or warrants is something you should absolutely take care of because this could cause major problems during your road trip if you don’t.